Hey everyone! In today’s episode, I share the mic with Sam Ovens, CEO and Founder of Consulting.com, which helps people build successful consulting businesses. 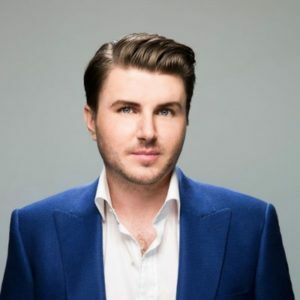 Tune in to hear how Sam Ovens quit the corporate world to start his own SaaS company, why he transitioned from consulting to running a course-based business for entrepreneurs and why he thinks that it’s a myth that in order to be successful you need to book speaking engagements, network, and post on social media constantly. [00:41] Before we jump into today’s interview, please rate, review, and subscribe to the Growth Everywhere Podcast! [01:32] Sam didn’t like working in the corporate world, so he left it to start his own Saas business. [01:55] He eventually started doing digital marketing consulting on the side, which then became his primary job. [03:10] Consulting.com trains people on starting their businesses. [03:25] They encourage people to find their niche. [04:22] They offer courses and a community. [04:30] Their beginner-level course costs $2000. [05:01] This year, they did around $34 Million in business. [05:37] Sam’s secret to success is focus and relentless execution. [06:25] Sam has put out free excel templates that anyone can use. [06:40] They serve as a bird’s-eye-view calendar that will help you achieve your goals. [08:25] You have to set goals, then reverse engineer your plan of attack. [11:25] When they sell their product, they are selling a user license, not the whole thing. Clients do not own the program. [11:55] Consulting.com had an affiliate deal with Tai Lopez, where they gave him 45% for every dollar in revenue that he generated. [12:07] As an introvert, this affiliate deal made all the difference to Sam. [15:10] If you want to travel and have a lifestyle business, do that. However if you want to build something big and meaningful, it requires you to give everything you’ve got. [15:45] Work/life balance is a fairly new concept. [16:50] The first version of Sam’s course was called, “Cash Flow Consulting”. [17:00] The course was about starting a digital marketing consulting business to start a Saas business. It was an extremely niche course before he widened his net. [18:15] When Sam worked in property management, he found he didn’t have a passion for it. [18:30] He ended up selling his shares to his partner, who still runs the business today. [19:05] He maxed out at seven clients on his own, so he hired on employees to his consultancy. [19:25] He found that each person couldn’t take on seven clients each. [19:41] They were making around $110,000/month and Sam didn’t think the business was sustainable. [20:50] As the courses began taking off, consulting fell by the wayside. [21:15] Sam moved to America to get a fresh start and focused solely on providing courses. [22:52] Sam fell for the myth that in order to be successful you need to book speaking engagements, network, and post on social media constantly. [23:23] He found it overwhelming and it was too hard to give energy to so many different outlets. [24:20] Upper level courses he offers are for people who have 5-7 clients and want to scale up. [26:00] Sam’s biggest struggle in working at Consulting.com was hiring his team. [28:20] Having a routine is important to Sam. [29:38] Sam makes sure to turn off his phone and put it in a drawer in order to not have any distractions. [29:58] He works more than 12 hours per day, six days a week. [30:41] One new tool Sam has used that has added a lot of value is the Oura Ring. Oura Ring is a sleep tracker. He also really likes the Bed Jet. [32:10] One must-read book that Sam recommends is Essentialism.